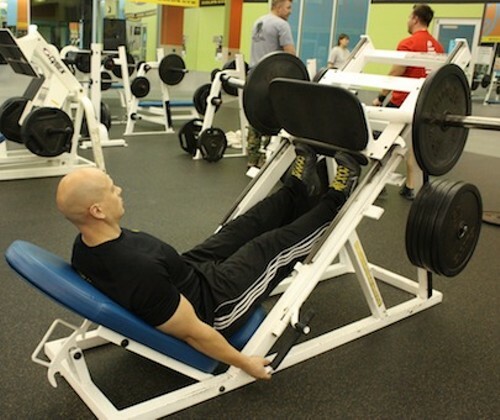 DIFFERENT FOOT POSITIONS ON THE LEG PRESS WORK DIFFERENT LEG MUSCLES. PUT FEET LOW ON THE PLATE AND USE ONLY THE TOES TO WORK THE CALVES. CONTINUE REPS UNTIL THE CALVES BURN. Jeff Daniels demonstrates the Core Twist.